First-person stories and studies give us insight and inspiration. Readers love connecting with authors who've had extremely interesting experiences. Reading their books is like making a close friend. Joni's House connects you to individuals who have lived inspiring lives, some quietly and others dramatically. Music makes connections, too, sometimes surpassing language gaps and even culture gaps. Joni reaches for the everyday Stars who win our imagination and admiration to share with you their stories in ebooks, paper books, DVDs and downloads. 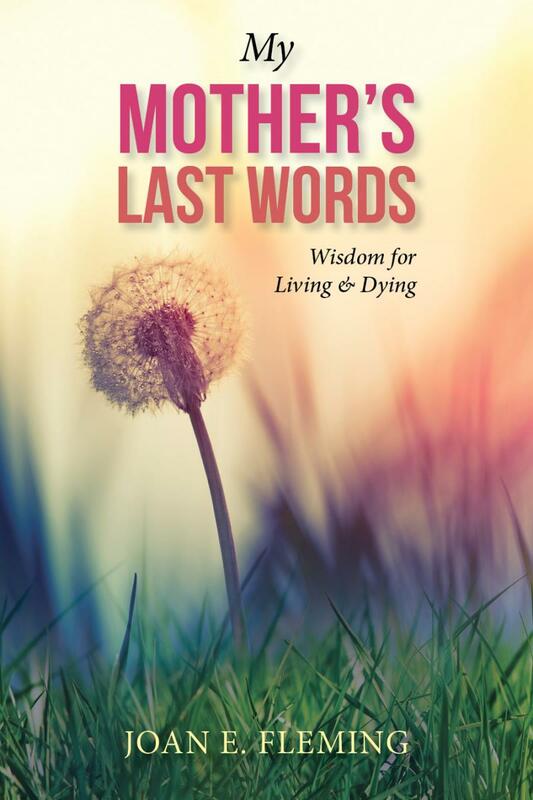 Joan E. Fleming's book, My Mother's Last Words: Wisdom for Living & Dying, is a portrait of a funny and lively woman who struggled with lung disease. NOVEMBER is STOP SMOKING MONTH. Get ready. ﻿The book shares LaVerne Fleming's surprising courage and determination to live as well as possible to the end. In addition to the intimate look at the mother-daughter relationship, the book documents the progression of her mother's COPD, the difference that giving up smoking made, and the treatment and hospitalizations that improved and lengthened her life. For anyone who ever smoked and is suffering, for those caring for loved ones with chronic disabilities, and for anyone looking for inspiration in tough times, this book will provide comfort, solid information and encouragement. J.D. Bennett grew up in Southern California as a Christian Ska band vocalist, actor and repeat camp counselor. After receiving a desperate call from his sister to assist her family with their English language mission in Spain, he made a critical decision to spend eight weeks of his precious summer vacation in the mission field. His book The Walls of Spain is full of insight about the culture of Spain, tourist tips, explanations of key terms and customs, sprinkled with incidents of false starts and hard lessons. Written with just the right amounty of wit and wisdom, this book is a must-read before considering your own short-term mission trip. Sam Gill's one-hour formats for personal and small group worship consist of a normal order of worship performed exclusively with dance music backgrounds. His two worship albums No Time to Worry and Desperate for Grace make great gifts for those in the service, away at college or in church youth groups. Scripture and messages become easy listening when floating over background music with a lively beat. Florence Stacy was called into mission work late in her life. Bravely, she accepted the call, eventually spending 14 years ministering in Brazil. She raises our consiousness about a myriad of issues with her straighforward, honest assessment of the needs of the poor in Brazil, the open door to printed materials that she discovered, and the difficulties that many missionaries face in the field but dare not discuss.